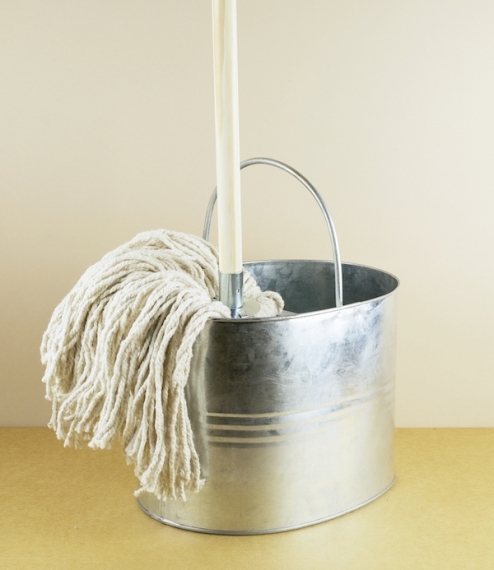 A commercial grade Kentucky mop. 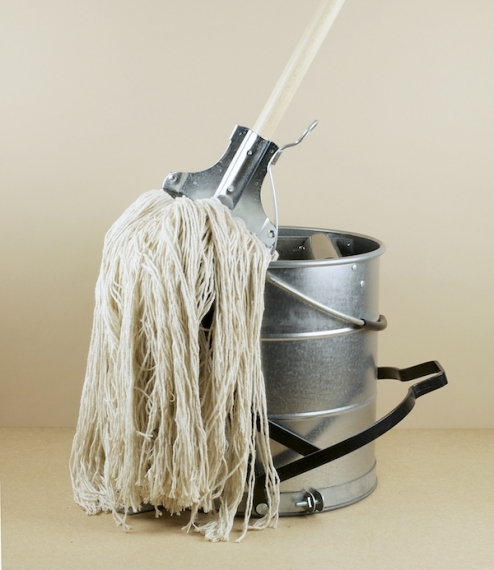 This has a larger, longer, flatter head than the domestic mop, and can hold and transfer to the floor a far greater quantity of cleaning water, whilst the bucket incorporates a pedal action roller system which wrings more effectively than the common twist cone. 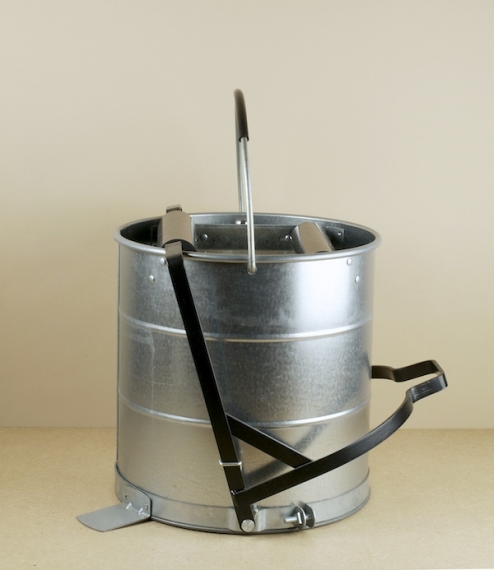 The bucket is made from heavyweight galvanised and powder coated steel, with polypropylene rollers. The 44cm head is 16oz pure cotton rag, with a reinforced stitched band where the handle should attach and colour coded tags - these are also washable which should help prevent odours. The holder consists of a 140cm hardwood handle securely attached to the galvanised steel sprung mop securing mechanism. These are ideal for the rapid and thorough cleaning of larger and rougher floor areas, or lovers of industrial Americana.